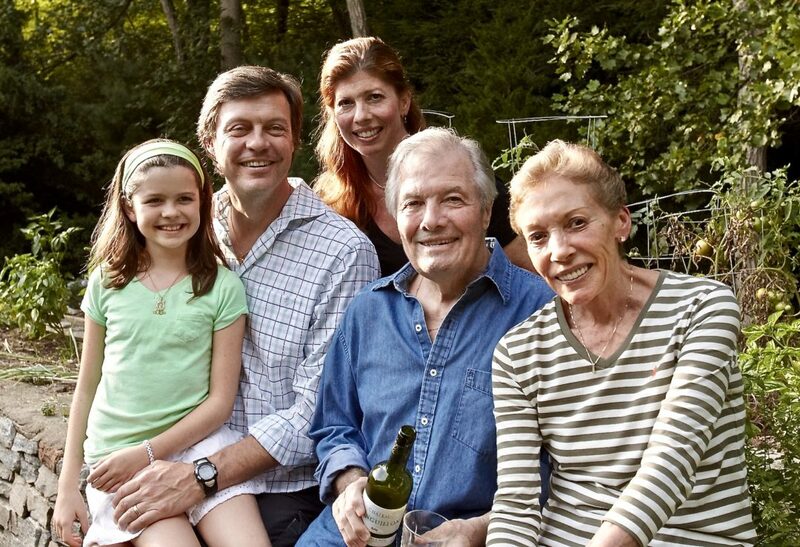 Jacques Pépin is my featured Changemaker this month. Chef Pépin is also a living legend, an icon and a hero of mine and thus I am posting about him on my one year blogging anniversary. For the few who don’t know, he is one of the most celebrated and well-respected French chefs of all time. Pépin has had a distinguished and decorated career as a professional chef, restauranteur, culinary instructor, television personality, artist and author. He has been credited with having advanced the art and craft of culinary techniques. Pépin has said that he “simply finds the kitchen to be a place of both comfort and excitement,” something he learned as a child working in his parent’s restaurant, Le Pélican. Destined for greatness, young Pépin was interning at the prestigious Grand Hôtel de l’Europe in his hometown of Bourg-en-Bresse, France at the age of 13. By 17, he had moved to Paris where he worked at a string of five-star restaurants including the well-known Hotel Plaza Anthénée. By 21, Pépin lived in the French President’s residence–where he served as the personal chef to three French heads of states, including Charles de Gaulle. Pépin came to the United States in 1959 at the age of 24, where he worked at the well-known Le Pavillon in New York City. Helen McCully, the Canadian food writer, took Pépin under her wing and reportedly introduced him to Julia Child, which led to a long-lasting friendship and a number of successful collaborations. Pépin turned down the opportunity to cook for President John F. Kennedy, instead accepting a position as the Director of research at Howard Johnson’s, a post he stayed in for 10 years. At Howard Johnson’s, Pépin was responsible for recipe development for the popular restaurant giant. Pépin has credited this position for teaching him about mass market production and giving him an invaluable “first-hand look into the American food palate“. During his time at Howard Johnson’s, Pépin simultaneously worked to complete both his Bachelor’s and Master’s degrees at Colombia University, showing his tenacity for learning. In 1970 Pépin left Howard Johnson’s to open his own restaurant call La Potagerie, which closed in 1975. As fate would have it, a near fatal car accident in 1974 helped convince Pépin to switch gears slightly. After the accident, Pépin began focusing on writing and teaching, a shift that led to the publication of his popular two-volume series on basic culinary fundamentals: La Technique and La Methode. Pépin had always been passionate about his belief that “simple principles, once mastered, enable you to cook well every day.” Considered unique at the time, the books focused on step-by-step instruction on French culinary technique. The series become so popular that it is still in print today. This unexpected change launched Pépin onto a new path as an author. Pépin went on to pen 29 books, many becoming best-sellers. The success of Pépin’s Complete Technique is what ultimately launched this master chef into the world of television with the creation of the critically acclaimed PBS cooking show, Today’s Gourmet. Pépin drew his viewers in with his charming smile and clear simple instructions. He was so well received on television that he would go on to host an additional 13 different television series. The most famous was the collaborative PBS series Julia and Jacques Cooking at Home (a personal favorite of mine), which won him a Daytime Emmy. What made this show so different and successful was the absence of pre-prepared foods, scripts or even rehearsals. It was raw. Pépin and Child just worked seamlessly together on-screen and the world loved them together. While I love every one of his books, a favorite Pépin cookbook of mine is a more recent one that he did in collaboration with his granddaughter Shorey, who was just twelve at the time. “A Grandfather’s Lessons: In the Kitchen with Shorey” is a wonderful book for any child who enjoys cooking or wants to learn. For Pépin, it was important to get his granddaughter (as he did with his daughter) involved in the cooking process, and he encourages other parents and grandparents to do the same. Pépin says the recipes in this book are simple to accommodate all types of eaters, but versatile enough to allow for a home chef’s creativity. Shorey has said growing up in a foodie family meant she didn’t have a choice to be a picky eater, and it’s something she is thankful for now. This lovely book is also linked to a companion video series through Sur la Table which allow you to watch Jacques Pépin and Shorey as they cook great kid-friendly recipes from their book. Pépin has been recognized worldwide for his remarkable accomplishments. This master chef has received honorary doctorate degrees from five American universities, received three of the French government’s honors: He is a Chevalier de L’Ordre des Arts et des Lettres (an order of Arts and Letters from The Minister of Culture), and a Chevalier de L’Ordre du Mérite Agricole (an order bestowed by the French Republic for outstanding contribution to agriculture), and in 2004 he received France’s Légion d’honneur (France’s highest civilian honor). Pépin has also received an impressive 16 James Beard Foundation awards, one of which was a Lifetime Achievement Award. For the past 30 years, Pépin has taught in a program he co-founded at the Culinary Arts Programs of Boston University, as well as serving as a Dean of Special Culinary programs at The International Culinary Center (formally known as French Culinary Institute) where I had the honor of meeting him, as well as see him cook—something I will never forget. At 82, Pépin shows no signs of slowing down. Pepin’s latest endeavor is a non-profit organization bearing his name: The Jacques Pépin Foundation, which is “committed to transforming lives through culinary education.” The JPF supports existing organizations that offer free life skills and culinary training to economically disadvantaged adults, creating opportunities to obtain employment in the food service industry. Spearheaded by Pépin’s daughter Claudine Pépin (CEO) and her husband Rollie Wesen (COO), the JPF offers hope, self-confidence, and employment through culinary education, to veterans and individuals who have suffered from homelessness, substance abuse, and incarceration. The JPF is still in its early stages, but impressive nonetheless in its commitment to culinary skills training and helping those who need jobs. If you are interested in making a tax-deductible donation to the JPF, please check out this link for more information. I had the honor of corresponding with Chef Pépin, Claudine and her husband Rollie for this Changemaker post. I was and remain impressed by their kindness and commitment to enriching lives and strengthening local communities through culinary education. Following are excerpts from the conversations. Simmer + Sauce: Chef Pépin, who tends to cook dinner most evenings at your house? Chef Pépin: Usually, I do, if I’m home. If not, my wife does. She did last night, I did the night before. Simmer + Sauce: What is your favorite easy meal to make? Chef Pépin: It depends entirely on the market. We do a lot of soups, what my wife calls “fridge soup,” meaning whatever is left in the refrigerator, I’ll make a soup with it. I’ll use very simple stuff; a roast chicken or a sautéed piece of fish, simpler stuff, more and more, as I get older. As a young chef you tend to add and to add …as you get a bit older you make a couple of changes but you take away, leaving you with more of the essentials. Simmer + Sauce: What is a favorite dish that you enjoy eating but you do not enjoy cooking? Chef Pépin: There really isn’t anything I don’t enjoy cooking. Fried food is something we don’t do much of at home, except maybe in the summer when I go and get fresh fish. Mainly because you have a whole pot of oil that you don’t use again and because it smells up the house. There are things like that you want to eat in restaurants so you don’t bother to make at home. Things (like this) are more complicated at home, you don’t have to have all the many ingredients and it leaves you with lots of leftovers that you don’t know what to do with. Simmer + Sauce: Do you have any tips for teaching children how to cook? Chef Pépin: You have to get them involved without any question. When Claudine, my daughter, was one/one and a half, I would hold her in my arm right by the pot and I made her stir it and taste it so she “made it” with me and she was going to eat it because she made it with dad. The kid has to be there and they have to get involved in the food. You have to ask them: can you give me this? can you get that? can you help me? So they make the dish. You have to get them involved one way or another, make them taste it and ask their opinion. It’s a question of involvement. You should never get on your knee in praise because your kid ate Brussels sprouts or spinach, because the next time they will want a reward for doing so. The food is there, you eat it and you don’t talk about it. Simmer + Sauce: What do you think is the most important skill or technique a home chef should learn? Chef Pépin: I don’t know if there is one skill specifically, but certainly you should have a well-appointed kitchen. A sharp knife and solid cutting board are important. You should have a good pot, you don’t need many, you should have good lighting, just a few good appointed things. When you have to struggle with a knife that doesn’t cut and you don’t have a good pot and everything is sticking to it and the kitchen is not well lit, it makes it really difficult. So, I would say most importantly, a well-appointed kitchen and a glass a wine before you start. Simmer + Sauce: Imagine that a moderately skilled home chef needs to host a dinner for six people. S/he wants to impress the guests, but has limited time. Do you have menu suggestions? Chef Pépin: People tend to do a recipe that they’ve seen in a book or a magazine and they’ve never done it before…but that’s the wrong idea. Do something that you do for your family, something you know, you like, and that you know is good. Do something that you can do, a great deal of it ahead of time, so you have time to be with your guests. It’s a question of thinking about the menu. People ask me if I can do a menu for 2,000 people. Yes, of course I can do that. What am I going to do, I’m going to go out and buy the best smoked salmon I can buy, some prosciutto, paté, pumpernickel bread, nuts, etc., but am I going to cook any of these things? No, not by myself for 2,000 people. So, it’s for 100 people, I still would still probably buy most of it. At 50 people, I probably buy a whole salmon and poach it and I would buy the rest of it. By the time it’s 6 or 8 people, I may cook everything myself, it just depends on the situation. You need to think about it, believe that you can do it and plan it. You have to plan out your dinner and know and feel comfortable with it by knowing it’s something you can make, like to eat and something that you are proud of it. Whether it’s a simple roast chicken or a salad that’s well made and well dressed, it does not need to be complicated and you’ll have a successful dinner. Simmer + Sauce: You have had such a rich career. In the culinary world, is there anything you haven’t done already that you still wish to do? Chef Pépin: Well, yes, I would like to play the piano. I have always wanted to play the piano. But in a professional kitchen, the stove is referred to as the piano and when you cook at the stove you are “playing the piano”, so I guess I’ve done that. Otherwise, in the food world no, not really. Things today are very different than they used to be, changing all the time. The food is very different than it used to be, and that’s fine. I’ve been very fortunate, I’ve been very lucky to be involved in so many different areas, it’s been very rewarding to me it’s, it has made my life. 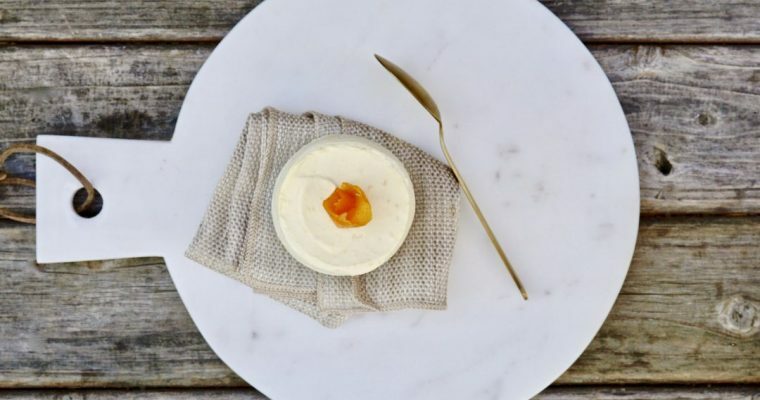 Simmer + Sauce: As a blogger, I see that with social media sites like Instagram, people often seem more focused on how food looks rather than how it tastes. Do you ever take out a phone or camera and photograph a meal before eating it? Chef Pépin: I don’t go on Instagram, or Facebook, my daughter does it for me. So no, I can’t remember ever taking a picture of a dish before I ate it. For me, I think every food critic should be blind, it should be a question of taste. Sometimes you are given something to eat and it’s beautiful and because I am a professional chef, people ask me what it is, but I often don’t know, I can only guess. For me food should be recognizable by taste and not presentation. There is nothing wrong with food being nicely presented, but it should not be the purpose of the food itself. When the food has been touched too much, fooled around with too much, it loses some of its personality. You look at great Chinese or Indian cooking, the food is put on the table as is, and that is it: there is that certain inherent beauty in the food itself. 3-star restaurant chefs are asked to create and be different all the time, this it’s something that did not exist when I was a kid. When I was a kid, the idea was to conform. To conform as a chef you would go to a restaurant, you would learn that restaurant, and learn to do the dishes of that restaurant. Of the 10 people in that kitchen you would never know who made a specific dish, everyone had to conform to do a dish exactly the same. Now, they are always looking for something to blow your mind, I don’t need that. You go to an Italian or French grandmother’s house and that will be the greatest food you’ve had in your life. There is not much presentation, but there is taste and a lot of love put into it. Often very decorated dishes are very beautiful, but they have no soul or spirit. Now in kitchens you have a person who does a special dish and it’s really good, but the next time you go back to have that special dish the new chef can’t make it, and it has no taste or spirit anymore. When you make food you have to put your heart into it, your spirit and your soul, that is a quality some chefs have and others don’t…There is nothing wrong with molecular cooking, it breaks new ground, but there can be a disconnect between the chef and the customer, the chef doesn’t communicate with the customer. If I go to a restaurant I love I can always make an association with what favorite dish I’m going to eat, and even the what wine I will order–it is the same every time, no matter who makes it. In molecular cooking, there is a shift between the chef and his customer in bringing that reliable pleasure, a separation from the chef to the customer. This is fine at times, it is an experience. You go once or twice but after the third time, you just want to go out and have a taco and a beer. 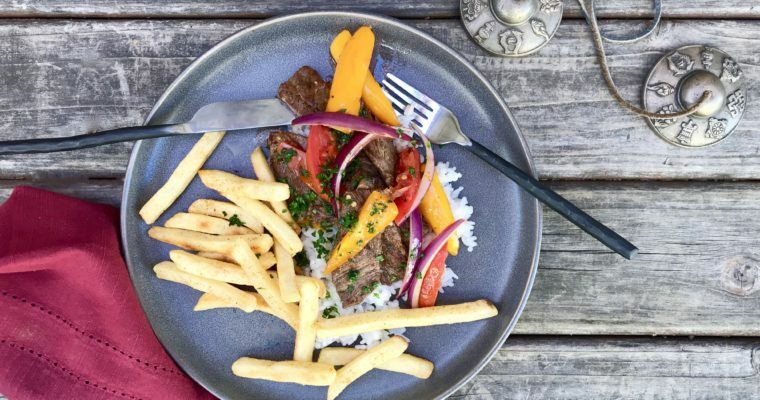 Simmer + Sauce: I know you are a chef yourself, but being that you are Jacques Pepin’s son-in-law, I have to ask: do you ever cook for him or is that simply too intimidating? Rollie Wesen: I cook for and with Jacques fairly regularly. When it comes to meals, he knows what he wants, so if we are eating together, I am typically just assisting him. That said, most holiday affairs are at our home in Rhode Island. I plan the menu, but I also plan to be flexible in case he wants to jump in with adjustments. Sometimes he sits on the sidelines and simply enjoys, other times he wants to be involved. He is Jacques Pepin after all, if he wants to play in our kitchen, I’d be a fool to stop him. As far as intimidating, he is actually quite easy-going. He eats and enjoys most everything. He is not hard to please and rarely a harsh critic. And nothing impresses him more than food that is simply and correctly prepared. Food that speaks of itself and is served hot is what he most enjoys. Simmer + Sauce: What inspired the creation of The Jacques Pepin Foundation? Rollie Wesen: We wanted to honor and extend Jacques’ legacy, and to give back as best we could. He has been so influential in his lifetime, touching so many lives, as a chef, I feel it would be a travesty if he and his work are ever forgotten. The Foundation offers the opportunity for an enduring influence. Culinary training is truly a win-win-win. Well over 100 charitable organizations exist all across the country offering free culinary and life skills training to disadvantaged individuals. Many have suffered trauma including homelessness, substance abuse, incarceration, PTSD, domestic violence. We are uniquely positioned to support their work. Jacques’ rich and deep library of source material, our connections to industry and manufacturers and our expertise in curriculum make the JPF the ideal advocate for this great work – helping people reclaim their lives through culinary training. Simmer + Sauce: What is the Foundation’s biggest focus area right now? 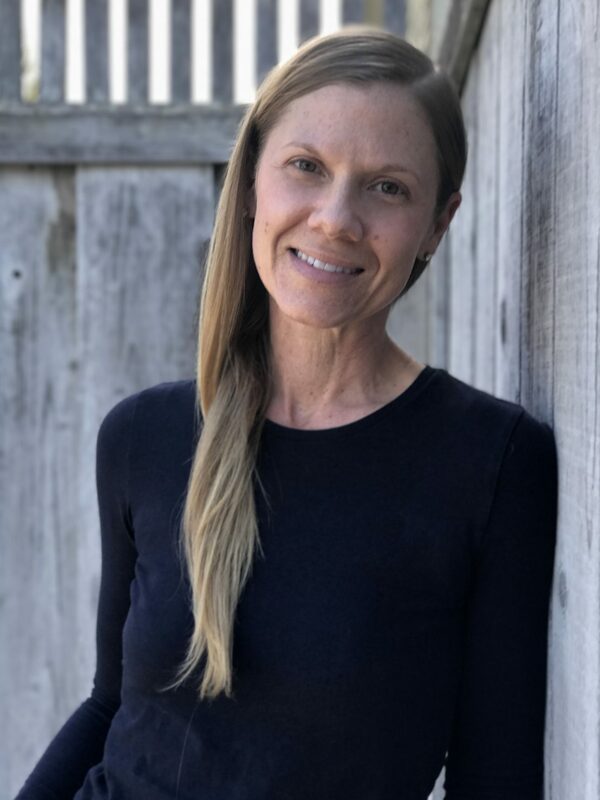 Rollie Wesen: As a young organization, our immediate goals are to establish ourselves as a recognizable entity dedicated to helping existing organizations improve lives through culinary training. We are raising capital that will become the foundation of our sustainable future, and raising funds for partner organizations like FareStart and the Community Kitchen at the Rhode Island Food Bank in support of their programming. We support the member networks of Catalyst Kitchens and Feeding America and are working to identify and connect organizations that are not part of a supportive network. We offer direct teaching and source materials for curriculum like cookbooks and techniques videos. We connect organizations to chef instructor volunteers. We broker relationships between manufacturers who donate tools and equipment to advance the learning in the community kitchens. Simmer + Sauce: Where would you like to see the Foundation 5 years from now? Rollie Wesen: In our 5 – 10 year plan, I hope the JPF will become a content provider and a kind of accrediting organization. I would like us to participate in, and contribute to, the curriculum development process. And I would to develop the capacity to review programs. I envision JPF teams that go into the field to analyze, evaluate, and certify community kitchen programs, bestowing a JPF certification that will validate the programs, enhancing their capacity to fund-raise for themselves and enhance the credibility of their graduating students. Simmer + Sauce: Looking ahead, what JPF events should we (the pubic) keep an eye out for? June 7, 2018, Newport, RI – Savor: A collaborative fund-raising gala dinner with the Community Kitchen at the Ri Food Bank. Featuring Chefs: Ming Tsai, Rick Moonen, Matthew McCartney, Champe Speidel, James Wayman, Jeremy Sewall. March 28, 2019 – Second annual JPF gala, NYC. Simmer + Sauce: Other than making a financial donation, is there something else people can do to help support the Foundation? Rollie Wesen: Attend our events. Spread the word about us. Follow us on social media. Reach out to community kitchens in their regions. Help us discover organizations that are doing the work we want to support. We are still a tiny organization with zero full-time employees and very few volunteer opportunities. When it came time for Pépin to choose a recipe to share with me, he did not skip a beat: offering up a true Pépin family classic (cheese soufflé). But this is not a traditional cheese soufflé–this is a very special soufflé, one that his mother used to make. The story that goes with the recipe is as special as the recipe itself. 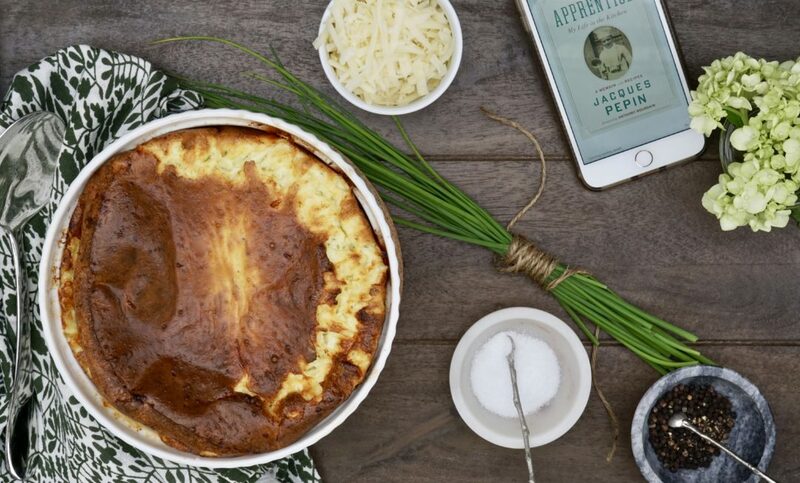 Pépin calls this recipe “Maman’s Cheese Soufflé,” and it was a recipe first made by a 17-year old newlywed. Pépin tells this story in his 2003 bestseller, “The Apprentice.” If you have not read this, it’s a must. As the story goes, Pépin’s father loved cheese soufflé but his young wife did not know how to cook very well. Pépin describes his mother as “willing and fearless,” determined to make a cheese soufflé for her new husband. 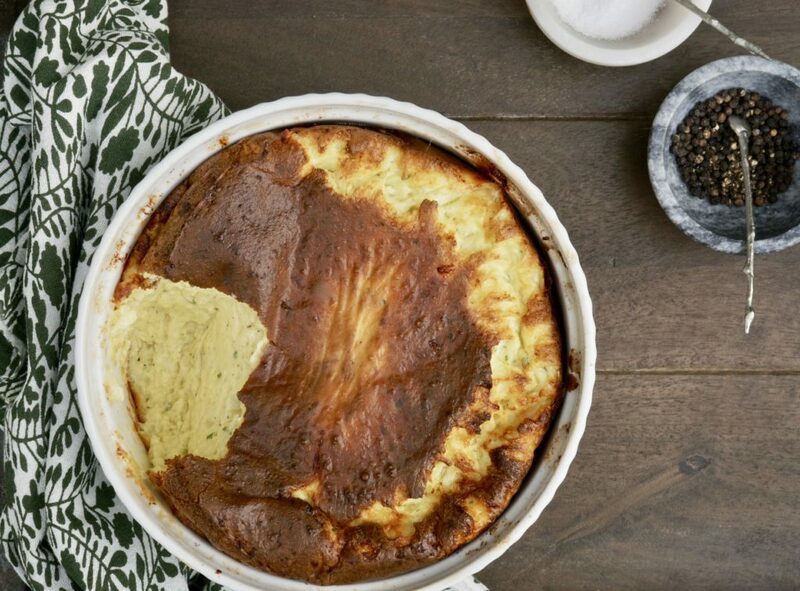 A friend told Pépin’s mother that a soufflé was simply made from a white sauce (béchamel) (commonly used in French cooking) some grated cheese and eggs. With this, she went forward. Mixing the béchamel with cheese and eggs, she placed it into gratin dish and popped it into the oven. The technique of separating eggs and whipping the egg whites was not something she had learned yet. In Pépin’s words: “ignorance is bliss.” The soufflé rose to a “golden peak”, and quickly became a family favorite. Pépin said this family version is slightly less airy then a standard soufflé but is just as wonderful. Having tried it, I completely agree. And as you would expect with any Pépin recipe, it is absolutely delicious! Step 1 Preheat the oven to 400 degrees F. Butter a 6-cup gratin dish, and set it aside. Step 2 Melt the butter in a saucepan, then add the flour, and mix it in well with a whisk. Cook for 10 seconds, add the milk in one stroke, and mix it in with a whisk. Keep stirring with the whisk until the mixture thickens and comes to a strong boil, which will take about 2 minutes. It should be thick and smooth. Remove from the heat, and stir in the salt and pepper. Allow about 10 minutes for the white sauce to cool. Step 3 Meanwhile, break the eggs into a bowl, and beat well with a fork. Add the eggs the cheese, and the chives to the cooled sauces, and mix well to combine. Pour into the buttered gratin dish and cook immediately, or set aside until ready to cook. Step 4 Bake for 30 to 40 minutes, or until the shuffle is puffy and well browned on top. Although it will stay inflated for quite a while, it is best served immediately. Pépin has always been referred to as a kind and devoted family man, so much so that he has even hosted wildly successful cooking shows with both his daughter Claudine and granddaughter Shorey. He has been married to his lovely wife Gloria for over 50 years. He has said his “greatest ritual (in a day) is sitting every night at the dining-room table with my wife and sharing our meal and one, sometimes two, bottles of wine and discussing the events of the day.” I aspire to his “greatest ritual;” he certainly has the right priorities. I would like to thank Jacque Pépin and his lovely family for allowing me to feature him and them in my Changemaker series. And I would like to thank Chef Pépin, Claudine and Rollie for the time that they took out of their busy schedules to speak with me. I thoroughly enjoyed your feature on Chef Jacques Pepin. He is also a wonderful artist. He handprinted menus enhancing them with his whimsical artwork. Sur la table sold linens (aprons) with his art.. He also has his artwork displayed in galleries. You can search his artwork. Thank you for the lovely comment. Chef Pépin is a kind and remarkable man, it was such honor working with him. And I agree, he’s such an amazing artist, there is truly nothing he can’t do! Such talent.